I find it impossible to stay at home (during confinement period) for 1 whole month. So I beseeched, pleaded, threatened whatever you can think of, and forced Kevin to bring me to Orchard Road for a few hours, to satisfy my shopping fetish. 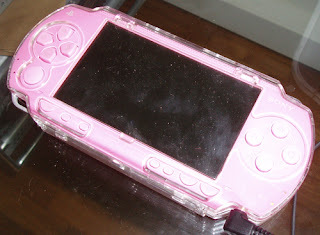 Before I delivered Ziv, I bought myself a Pink PSP. I thought I can play games on my PSP while waiting to pop. So naive of me to think that way. This 'reward' actually benefited Kevin, cause he played PSP for the few days I was in hospital. Even to the point I was about to deliver. 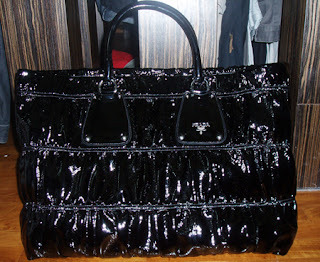 Another 'incentive' for giving birth, on 29 Aug, I will be flying to Taiwan for 8 days to rejuvenate, shop and eat. I am usually not an irresponsible Mommy, but since Kevin said that I should really take a break, so I suggested going somewhere near. 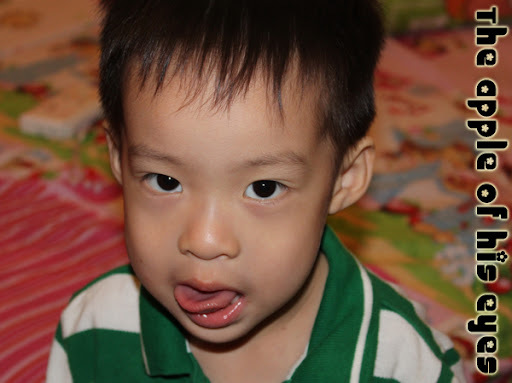 Cos seriously, I can't leave my Ziv with other people when he is so young. I think I will call back home every now and then to check on Ziv. Seems like Kevin is more relax than I do. It's the time of the day again, I am going to take a nap. Wonder are all mothers under confinement sleepy all the time? Cos I just woke up at 1130 am and now I am tired already.